Welcome to Balloonopolis, the Midlands’ premier balloon company. We specialize in creative balloon décor and entertainment. And we have over 25 years of expertise to make your special events spectacular. 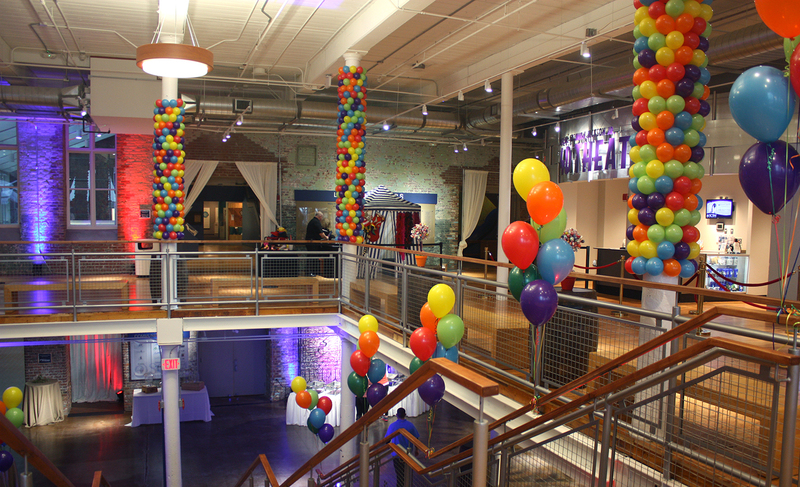 Balloonopolis provided twisting and décor for both of Governor Nikki Haley’s inaugural Family Fun Nights. Since 2014, the SC State Fair has hired Balloonopolis to create large exhibits for the enjoyment of fairgoers. We have worked with many departments of the University of South Carolina. We have worked with many corporations, such as Home Depot, Arby’s, and Blue Cross Blue Shield. We’ve also worked with sororities and prom committees to create beautiful themed décor. Childrens’ birthday parties are our specialty! We have several party packages. Balloonopolis has thrilled both children and adults at festivals, such as Viva la Vista, River Rocks, and the Congaree Swampfest. We have also twisted balloons at church festivals, road races, school carnivals, and many more events. Balloonopolis is excited to announce our newest adventure! We now own a party supply store! If you are looking for party supplies, as well as balloons for your occasion, then we can help! Stop by our store, The Party Shoppe by Balloonopolis, at 5175 Sunset Blvd, in Lexington. 803.490.7315 or email us at thepartyshoppesc@gmail.com. Like us on Facebook and Instagram. Since 2006, Balloonopolis has been creating lasting memories that our clients and their guests still rave about today. Balloons are a very special medium. They are so versatile that they can be playful and fun, elegant and sophisticated, and everything in between. They set the perfect tone for any event, and convey exactly the mood you want. We bring more than 10 years of experience to the table, and work closely with our clients from the design process to the final arrangement of décor elements to create an atmosphere that will bring the event to life. If you’re unsure of what you want, then check out our gallery of ideas to see some of our work. If you have ideas in your head, but don’t see what you’re looking for, please ask, we would love to help you realize your vision. “What a find! Balloonopolis is fantastic to do business with, so responsive and beyond creative for a fair price. The gentleman with whom I worked was so pleasant and helpful in every way. I found them doing a search and went through 5-6 unsatisfactory phone calls before finding Balloonopolis which is now firmly implanted in my address book. I will be using them again! ” Judy H.
If you would like to hire Balloonopolis for your event please contact us by completing the form below. Or you can call or text 803.386.1543.